MotionPie: Turn your Raspberry Pi into a security camera #piday #Raspberrypi @Raspberry_Pi « Adafruit Industries – Makers, hackers, artists, designers and engineers! Average Man vs. Raspberry Pi has a new tutorial up for turning your Raspberry Pi into a CCTV security system. A few weeks ago I received the new version of the Nwazet Camera Box Bundle, re-designed to fit the B+ Raspberry Pi. It reminded me that I had promised my dad that I would fit a Pi camera system into his porch so he could keep an eye on his beloved motor home when he was in the garden. I’d not got round to doing this as I hadn’t quite found a camera viewing solution that would be easy enough for him to use (and for me to figure out!). Last week whilst browsing the Raspberry Pi forum I came across a camera viewing application for the Raspberry Pi called MotionPie. 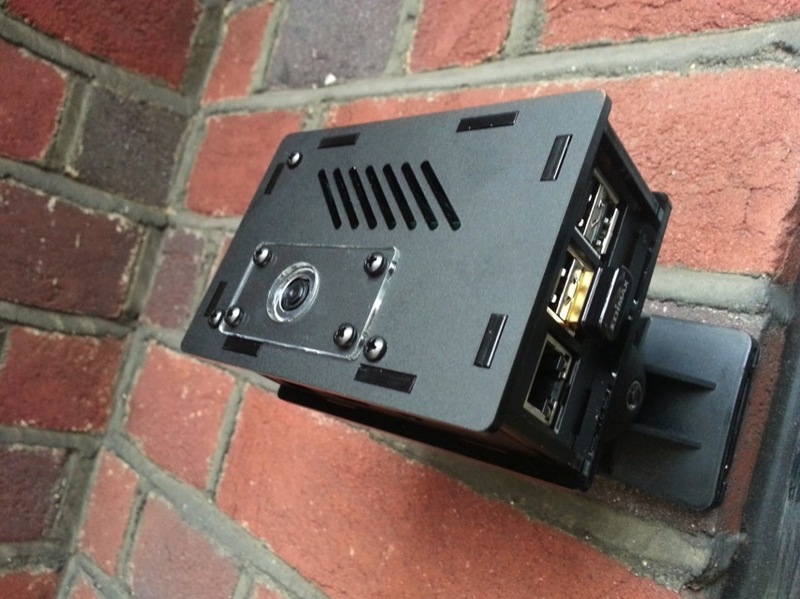 It almost turns your Raspberry Pi Camera Module into an IP camera, and is really (really!) easy to set up and use – perfect for old papa Average! With my new CCTV-style case, and this seemingly simple yet brilliant camera application – a project was born!